device (BYOD), VOIP, WebRTC, call centre technology, and UC’s so-called next evolutionary progression, Communications Enabled Business Processes (CEBP). According to Dean Young, senior sales consultant of IT at T-Systems, UCaaS is definitely seeing increased uptake, particularly in the service provider environment, as providers move towards building and offering UC as a service solution to the market. “We are currently seeing the development not only of enterprise platforms, but also offerings aimed at the SME market,” he says. Zimbizi agrees UC is here and many companies – such as contact centres or call centres - have already realised its value when it comes to improving service efficiencies and accuracies. Zimbizi says the growing BYOD workplace trend has also focused the spotlight on UC system management, particularly the realities and risks associated with BYOD. Zimbizi continues, “UC, it seems, will continue to be a ‘changing landscape’ for many years to come. 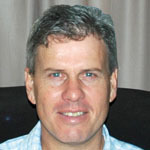 According to Swanepoel, the next evolution of UC will be CEBP – where the enterprise integrates the UC capability into actual line-of-business processes, to the extent where UC enables the organisation to optimise and re-design legacy processes. “Due to the complexity of establishing UC in an enterprise, a lot of organisations are challenged due to a lack of a clear strategy and reference architecture, including matching business and functional requirements with technical capabilities,” Swanepoel explains. He believes for organisations to enable UC, the various disparate communication platforms need to be unified. Unifying disparate communication platforms is not the only barrier to adoption locally, as bandwidth issues continue to plague the country. Due to legacy bandwidth issues, says Swanepoel, SA is lagging in its adoption of UC. “However, as bandwidth is becoming more readily available and cost-effective, organisations are accelerating adoption of UC,” he says. “We are seeing organisations still being cautious in their adoption, and hence not applying a ‘Big Bang’ approach,” Swanepoel continues. “As with most new technologies, SA is lagging behind global adoption,” says Young. “However, we are rapidly catching up, especially as infrastructure is improving and making UCaaS possible. This model offers a more affordable migration for businesses of all sizes, including the SME market. In addition, adoption of UC is being driven by a growing need to replace aging investment into legacy platforms, as well as a new workforce entering the market. 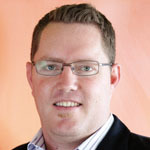 Craig Freer, head of products at Vox Telecom believes SA is currently behind the curve. “This is a result of the historically high cost to connect. As this cost to connect declines, adoption and deployment rates of UC can be expected to increase,” he says. office data while on the road, allows them to be more productive. Allowing employees to work from home can also reduce expenses and companies allowing BYOD are able to reduce company expenditure on, for example, company-owned devices,” he explains. He says UC also makes it possible for companies to communicate with employees no matter where the employees are located and customer engagement is also improved by leveraging UC, because it makes it possible for employees to respond much quicker. Swanepoel says value extraction from a UC platform typically increases as the company enables features on the platform, such as moving from a state where UC is only used for IM and presence, to the state where all the capabilities are used to enable enterprise-wide collaboration. Applying the simplicity principle to selecting a UC system can result in significant cost savings over time. As shown by many third party end user surveys, the total cost of ownership (TCO) of a simple solution makes deployment, learning, and management easier. Businesses are therefore often encouraged to evaluate different UC solutions to explore the TCO. He believes without fully examining the environment, the processes, the impacts, the business case and so on, a UC implementation may end up costing far more than the original planned investment – researching the TCO will prevent this from happening. In the long term, Freer believes lowered TCO will be felt through the investment in technology that is scalable and offers additional functionality. “It is imperative that businesses understand all the components that constitute their target UC platform, based on the defined reference architecture, including integration points, development that was done on top of existing platforms, and the cost of managing and maintaining these,” he says. According to OptiSolutions account manager, Vince Rabie, having different mobile devices requires companies to carefully consider platform selection. He points out there’s been a significant increase in mobile data consumption, smartphone penetration and the use of smartphone devices in the South African workplace. “It is critical that the chosen platform is adaptable and fl exible in order to accommodate all the different devices,” Rabie says. He believes demand for easily installed, -configured and -managed integrated services is likely to increase significantly in the years ahead as the BYOD and VOIP trends continue to grow and more and more companies wish to derive the cost saving and collaboration benefits offered by integrated UC systems. can expect to see rapid uptake of UC solutions,” he says. Swanepoel believes SA is on the crest of a wave of UC adoption, which will be accelerated by the proliferation of bandwidth and the usage of cloud as a platform to deliver UC to the enterprise.